Mobile banking has recorded a peak in the volume of transactions for the month of June. 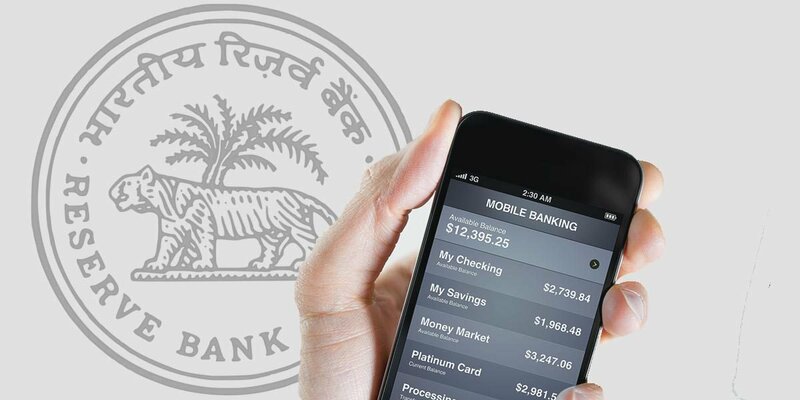 According to the latest RBI data, mobile banking transactions climbed up to around 14.42 per cent to 306.42 Mn from 267.78 Mn in May. This is for the first time the transactions have crossed 300 Mn mark. The value of transactions registered about 11 per cent rise to Rs 1.9 trillion in June from Rs 1.7 trillion in last month. Mobile banking transactions went up by around 7 per cent to 266.94 million in May from 250 million in April. The value of transactions increased 0.40 Tn to Rs 1.76 trillion in May from April. Meanwhile, the number of transactions of mobile wallet went down about 5 per cent to 309.62 million in June. It had climbed to a record high of 325.41 million in May. However, the value of transactions rose 4.2 per cent touching a record Rs 14,632 cr in June from Rs 14,047 cr in May, said Mint report quoting RBI data. The transactions growth by mobile wallets is seen as a resilient effort to get back on track. Mobile wallets transactions went down to Rs 10,097 crore in March. In April this year, mobile wallets showed 279 million transactions against 268 million in the previous month. The number was still lesser than 310 million transactions wallets clocked in February, before the end of full KYC deadline. This is after the RBI’s directive that asked all wallet issuers to follow strict KYC guidelines in March. According to GlobalData report, released in last October, the total amount of mobile wallet transactions in India will grow further to surpass Rs 1 trillion marks in 2018. In the last few years, acceptance of digital payment modes has grown. The mobile wallet interoperability guidelines, which is awaited, are expected to enable grounds for several smaller players. Of late, digital payments companies have been attempting to shift to UPI from mobile wallet. Besides, according to RBI data, debit and credit card transactions too hit a new record of Rs 3.62 trillion in June, up by around 1 per cent from Rs 3.59 trillion in the previous month. The volume of card transactions declined by 5.3 per cent to 1172.75 million in June from 1,238.58 million in May, it added. PrevPreviousAmazon, Flipkart lobby to dump draft on e-com policy: Will they defeat Reliance maneuvering?